Jammy time wax bar helps kids drift into dreamland, soothing blend of baby freesia, lavender and sweet pea. Perfect for bedrooms and evening baths. 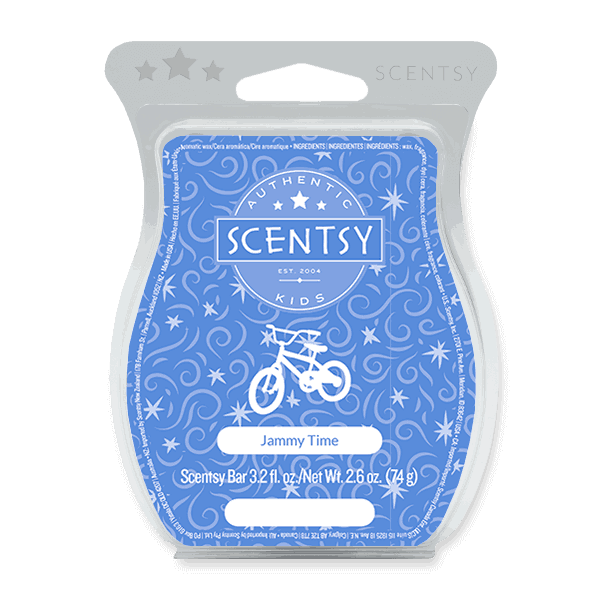 JAMMY TIME SCENTSY BAR – • Available in more than 80 fragrances. • Fragrances can be combined to create your own blend. • Fragrance intensity can be increased by adding more wax cubes. • Designed by award-winning perfumers and fragrance designers. • A great value when compared to jarred candles of similar quality. • Multiple fragrance categories offer something for everyone. • Plenty of variety to suit every mood, space and taste.